A partner project between Her Excellence Dr Sheikha Aisha bint Faleh Al Thani, Chairperson and Founder of the Al Faleh Group (AFG) for Education and Academic Services and University of Aberdeen has resulted in a new £100m investment by AFG to mark the second phase of the partnership with the university and expand the first Doha Campus opened in 2017. The increased space enables an expansion of STEM subjects (science, technology, engineering, mathematics), medical sciences, law, politics and international relations. The initial phase of the partnership attracted over 400 students to study the internationally renowned business programmes offered by University of Aberdeen in Doha, and student numbers are growing beyond expectations along with increasing demand for new disciplines to reflect the need for a stronger knowledge-based economy. Read more about the Doha campus. 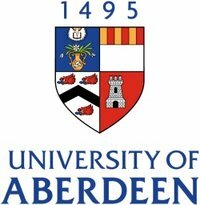 View postgraduate taught programs at University of Aberdeen and the research opportunities.